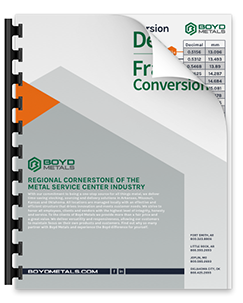 is totally committed to providing our customers with the best overall service and value in the metals service center industry. 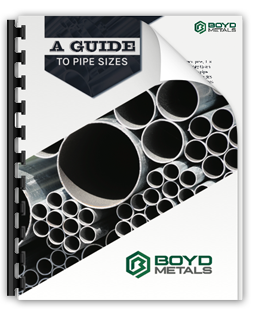 With locations in Arkansas, Kansas, Missouri, Oklahoma and Texas, Boyd Metals carries a full line of industrial products – specializing in a full line of carbon, stainless and aluminum products. Keep your decimal and fraction equivalents handy with this easy-to-use chart. 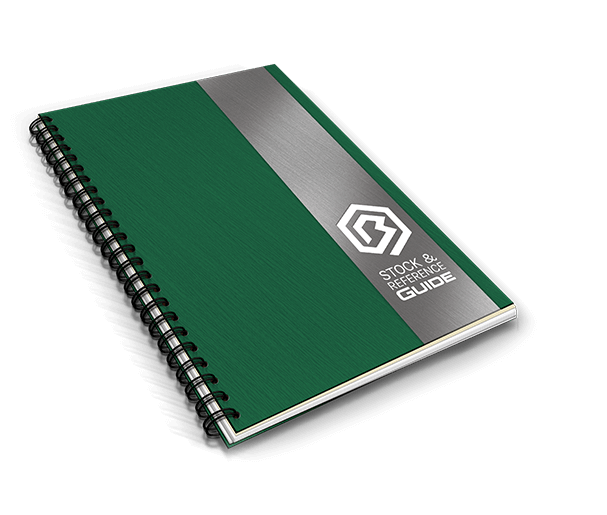 In the last hundred years, innovations in the steel industry have changed the way we live in a multitude of incredible ways. 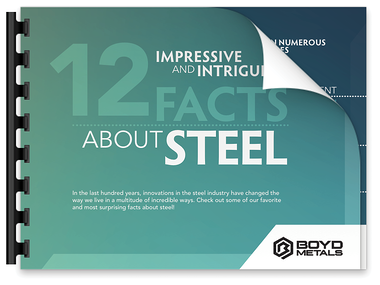 Check out some of our favorite and most surprising facts about steel!